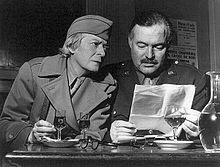 This time in Paris also led to her meeting and working with Ernest Hemingway among other literary luminaries. Later, still for The New Yorker, for which she worked for fifty years, she wrote a series of profiles on artists of the day, one of which was for Edith Wharton, which I intend to seek out and read, as that author has had a couple turns during previous years’ iterations of the Deal Me In challenge. Where was I instead? The Library of course! 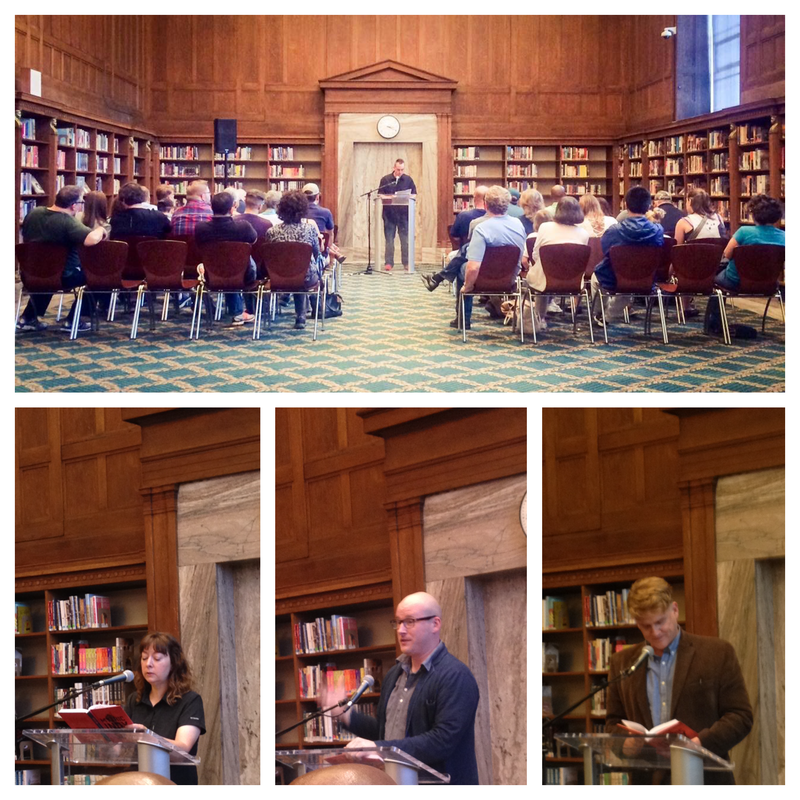 The Central Branch of the IMCPL (Indianapolis Marion County Public Library) hosted an event at 3:30 featuring a few authors reading their works from the recently published “Mythic Indy” anthology of short stories. 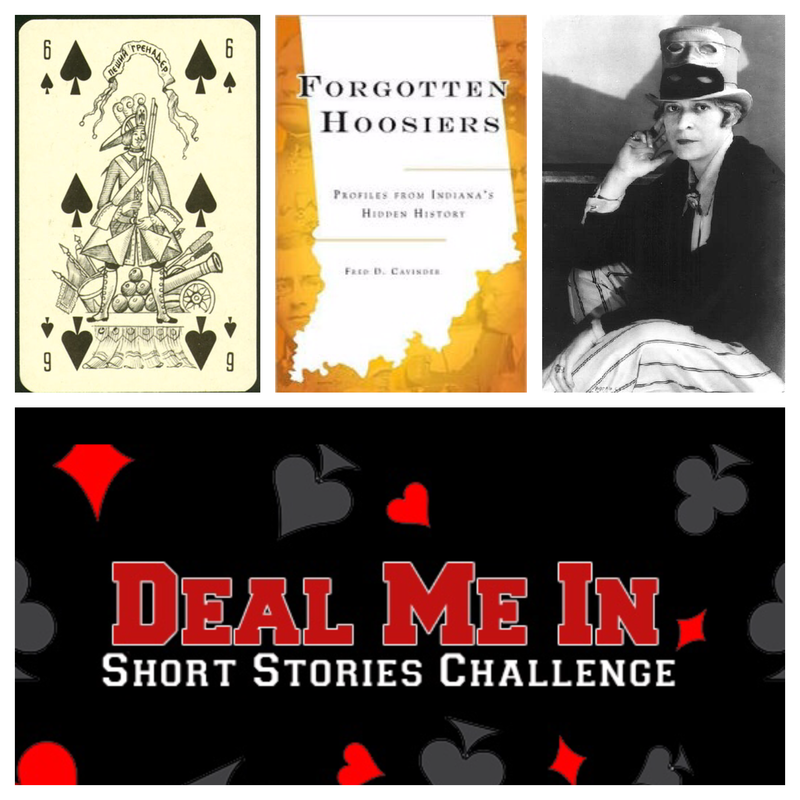 This anthology – as you might guess from the title – is a collection of fabricated myths about Indianapolis (my home town). I was also pleased to learn that this event was intended to be the first of a series featuring the stories and authors in this anthology. The profits for sales of this book go to a local non-profit, “Second Story,” which hosts writing camps for young students and helps those who might be ‘intimidated’ by the written word. Of the four authors, first up was Clint Smith, who shared his story “The Fall of Tomlinson Hall; or The Ballad of the Butcher’s Cart.” The story ‘mythologically’ explains the demise of Indianapolis’s storied “Tomlinson Hall” (see photos of plaque and arch below, underneath the photo of Corey Dalton introducing one of the authors). 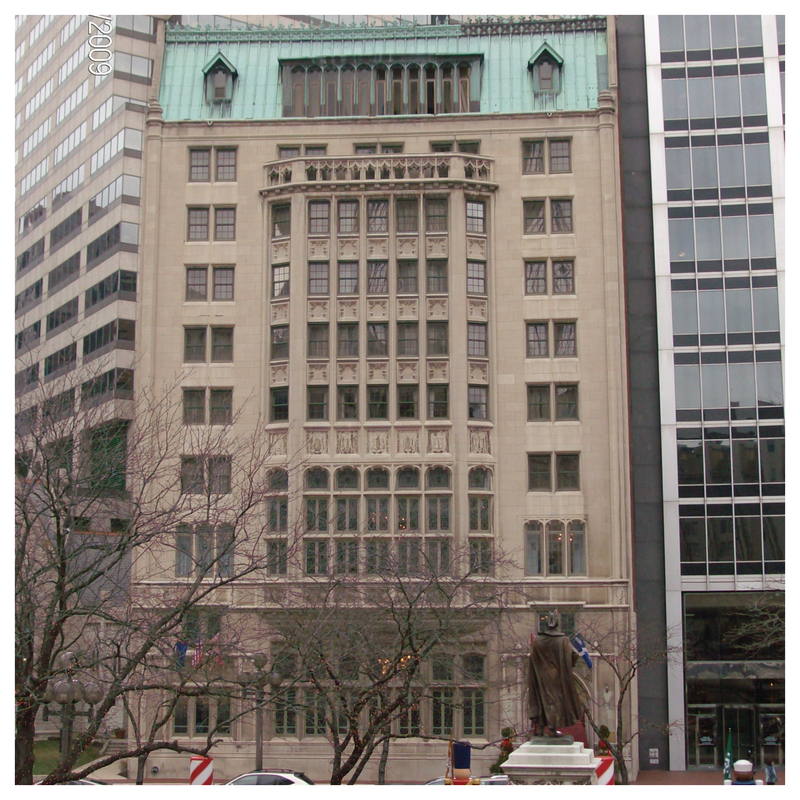 Smith and Gills are two cooks at downtown Indy’s Columbia Club (NOT a fictional place) who find an odd, insufficiently hidden key and use it to enter a portal in the club’s cellar that leads down even further. The two off-duty cooks’ explorations reminded me vaguely of H.P. 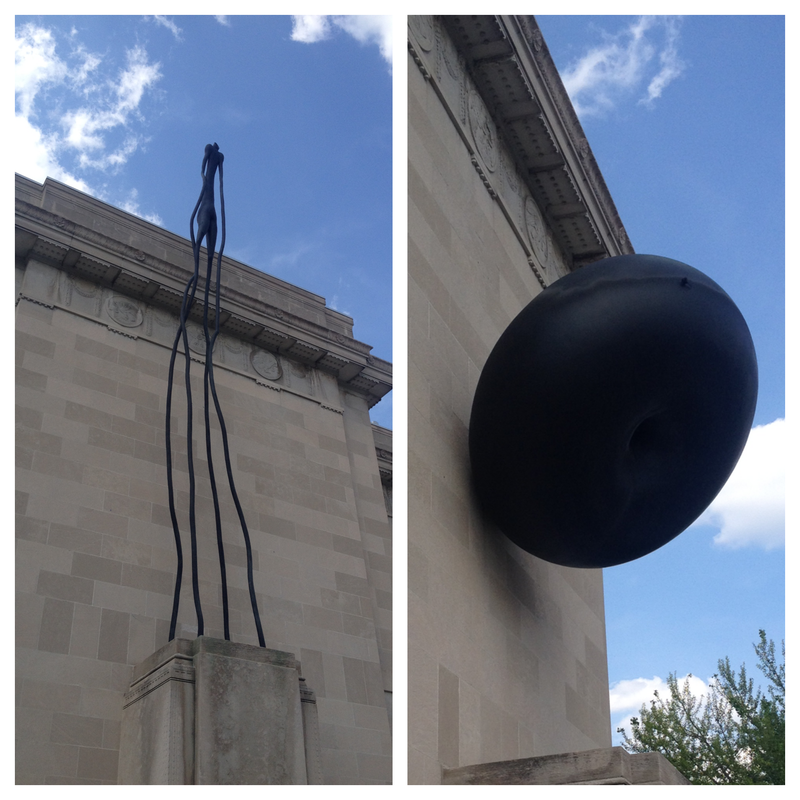 Lovecraft’s story “The Statement of Randolph Carter” – although the title character of that story had the prudence to wait “above ground” while his buddy Harley Warren explored below. 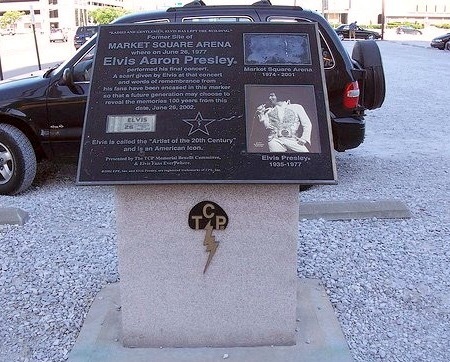 Next up was Maggie Wheeler, whose story was “How Market Square Arena Killed Elvis.” In this new myth, it turns out that Indy’s old Market Square Arena (the site of Elvis Presley’s final concert in 1977) was actually constructed on the site of a Native American burial ground. While preparing for the show,”The King” notices an “anomaly” in the wall of his dressing room, which turns out to be a human bone from this burial ground. Coveting it as a potential item of jewelry, he extracts the artifact from the wall, carting it back to Graceland where it amusingly discovers how hard it is to haunt someone who is more often than not “under the influence.” There was an ample amount of humor in this story too, and the reading brought laughter from the audience at a couple points. All in all, quite a fun event, and I look forward to the others in the series! 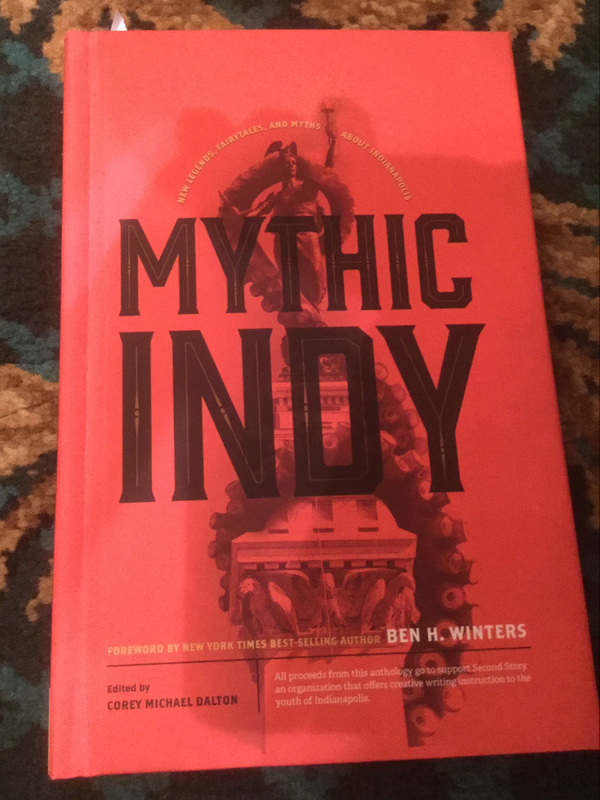 Better yet, support a good cause and buy a copy of “Mythic Indy” for yourself!